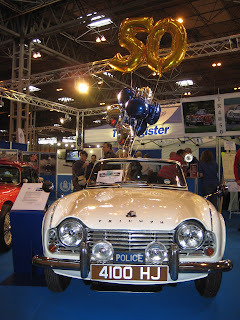 The Classic Car show at the NEC was a fantastic debut for the Police Car. 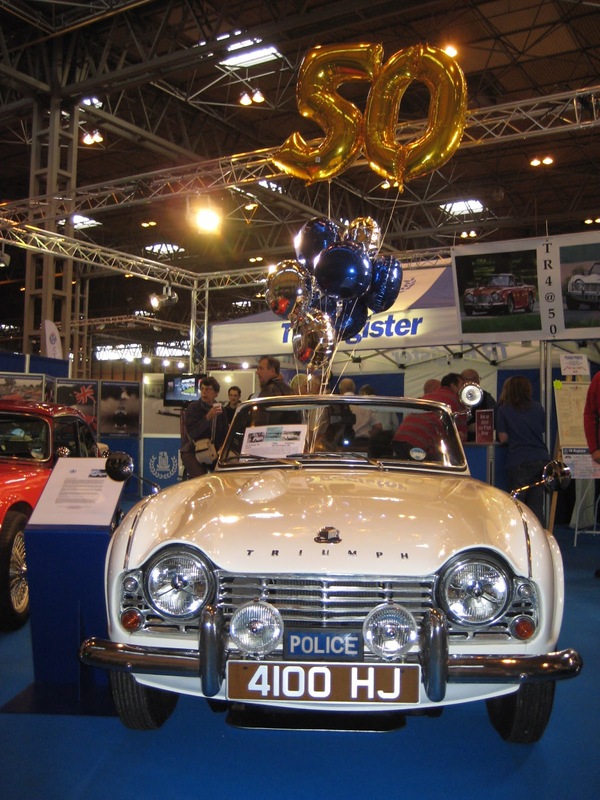 Now with its refurbishment complete it stood proudly on display with other Special TRs on the TR Register stand. The TR Register had a great display that included a new lighting gantry that threw spotlights on all of the cars, a fantastic addition to show the cars at their best. The Police car had lots of visitors over the weekend, many not knowing that there was a Police variant. With a display board showing some history behind the car and a board at the side of the car detailing Neils efforts in the restoration process, the cars attendance at the show was a great success. **By sending them to info@revingtontr.com you are agreeing to us publishing the photo’s on line for no reward to you or the owner of the photo and that you have the right to allow us to publish them.